Analytics Quotient (http://www.aqinsights.com) leverages analytics to help translate existing data into profitable marketing insights. With AQ’s simple customized solutions, plug and play tools, pay-as-you go pricing and globally delivered consulting services, AQ uses analytics to service their clients’ distinctive business needs. Analytics Quotient was incepted in the year 2008 by five entrepreneurs and today comprises of 120 talented professionals who use game theory and ANOVA to explain market dynamics and consumer behavior. AQ’s clientele includes the world’s largest non-alcoholic beverage company, World’s largest casual dining restaurant chain and North America’s largest confectionery company to name a few. Pritha has 8 years’ experience in analytics. Her marketing analytics work includes projects in the areas of consumer segmentation, pricing and drivers’ analysis. She has worked for clients such as Procter & Gamble and Universal Studios. For these clients, her focus has been to build offshore capabilities and develop teams to deliver analytics. Prior to her analytics career, Pritha has worked in Colgate Palmolive in India in the Sales and Marketing functions. Pritha is the CEO at AQ. Other than managing company operations she is actively involved in business development, new business delivery, managing resources, capability building, marketing and implementing scale and structure for AQ’s growth. She also leads the delivery team for one of the AQ’s main clients. 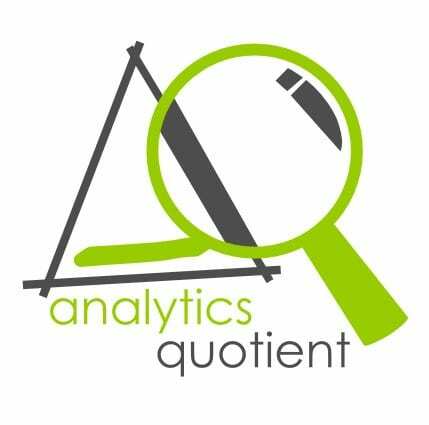 Analytics Quotient has offices in Bangalore, Atlanta and Zurich.